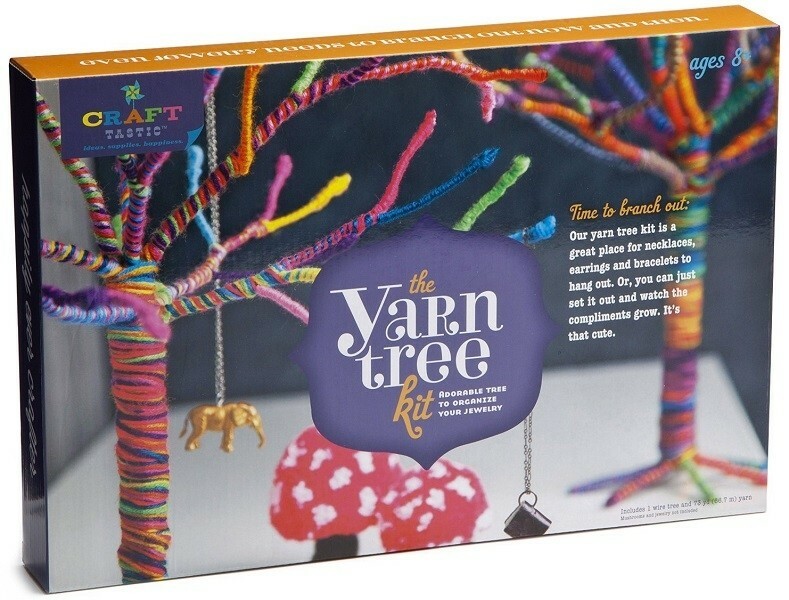 The yarn tree kit from Craft-Tastic is a fun way to create a beautiful display piece to brighten up any room. 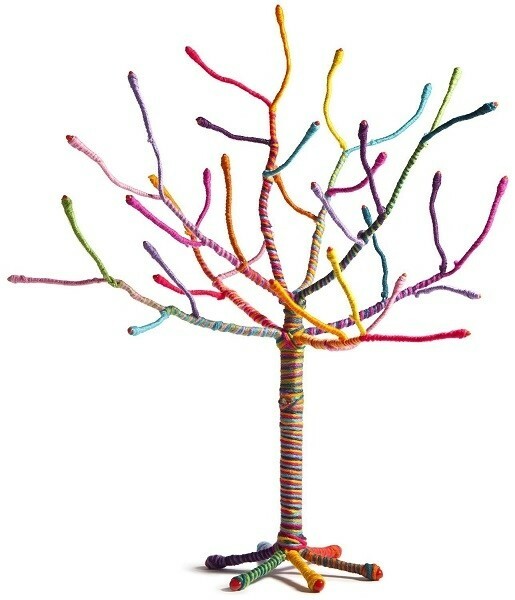 Wrap the wire tree with your choice of a variety of different colorful yarns, then bend it into the shape you like. It's perfect for storing jewelry or as a decorative accent. 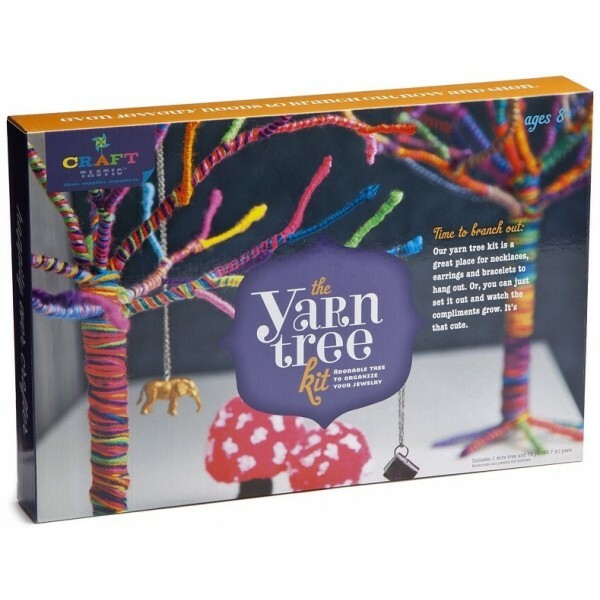 This kit includes a 18" tall bendable wire tee and a wonderful assortment of colorful yarn. 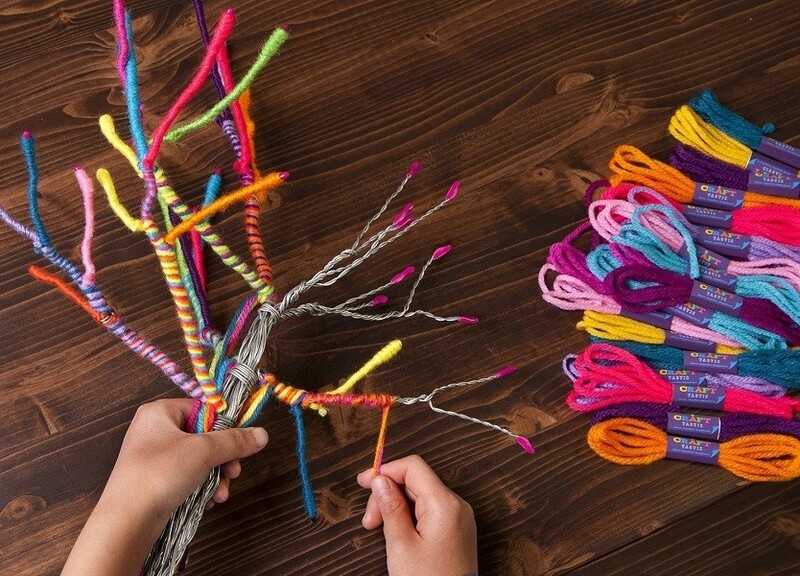 Simple instructions make it easy for tween and teen crafters to complete this project all on their own.